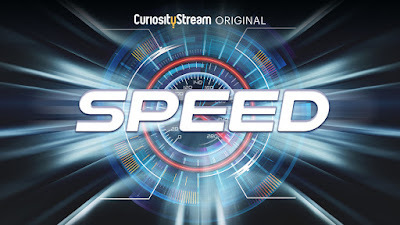 CuriosityStream – the award-winning streaming and on-demand destination from Discovery Channel founder John Hendricks – invites viewers to buckle up for a riveting thrill-ride chronicling humanity's innate need for speed. Premiering in April, the four-part docuseries "SPEED" tells the story of humankind's instinctive desire to explore and invent. Featuring breakneck pacing and stunning 4K visuals, "SPEED" follows host and engineering expert Sean Riley as he transports us to some of history's greatest transportation breakthroughs, pilots the modern machines of today, and forecasts the mind-blowing game changers that await us in the decades to come. "SPEED is the quintessential CuriosityStream project; as it combines historical and technological insights with mesmerizing visuals and engrossing storytelling for programming that is hugely entertaining and thoroughly enlightening," John Hendricks, Chairman and Founder of CuriosityStream, said. "We partnered with Arrow Media to produce SPEED using heart-pounding action to connect the transportation methods of our distant ancestors to our dreams of how we could travel in the future." The first episode of "SPEED" finds Riley testing past methods that early inventors used to conquer their terrain and fully explore the land where they live. Beginning with a look back at the invention of "the puffing devil" – or steam engine – in 1809; Riley connects the dots to the eventual construction of the first coast-to-coast railroad in the U.S. later in the 19th century and explores how it changed our nation forever. Fast forward to modern day and audiences strap in for a ride on the L-Zero magnetic levitation train in Japan that can reach speeds of up to 374 miles per hour. No road trip is complete without the automobile, and Riley connects the development of Ford's Model T on the first assembly lines to the driverless and autonomous cars of tomorrow. "Tracking down rare examples of historic vehicles and getting access to the latest technologies still in development meant traveling around the world non-stop for months and following the story wherever it took us," Riley said. "I'm passionate about helping people better understand both where we've been and where we're going – and connecting how science and technology drive our modern-day world." In subsequent episodes, Riley leads viewers across seas, through the skies, and into space to Mars and beyond. "SPEED" gives viewers a test drive of the machines that take us faster, farther and higher; and also introduces them to the people that build them. Topics span from the ancient outriggers that first connected distant islands to tomorrow's travel to interplanetary colonies. With renowned scientists and engineers leading illuminating demonstrations, SPEED captures the past, present and future of our innate dynamic nature in thrilling fashion. "With 'SPEED,' we have created the perfect programming for the insatiably curious and for adrenaline junkies by combining thrilling action with unparalleled production values and leading topical experts," CuriosityStream President and CEO Clint Stinchcomb said. "It's the epitome of documentary entertainment for today's viewers – captivating content that engages your intellect and takes you on a wild ride." "SPEED is the remarkable story of innovative engineers who never took no for an answer and who have defined our world. These great minds made it their life's work to create machines whose speed would have a profound impact on humanity," Tom Brisley, Creative Director for Arrow Media, said. "Finding rich stories and turning them into a thrilling narrative for a global audience is at the heart of Arrow Media's programming experience. CuriosityStream is one of the leading factual platforms in the world and we are honored to be working with them on such a prestigious series." 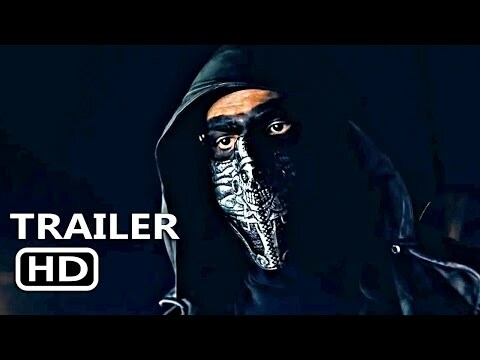 "SPEED" premieres in 4K and HD on CuriosityStream in April 2019. Watch the trailer and sign up for updates at CuriosityStream.com/speed/. This is the remarkable story of innovative engineers who refused to take no for an answer. Great minds that made it their life's work to create machines that have inspired and aided future generations to speed the pace of innovation with transportation on land. Follow this journey through time to explore what these creators faced in the race to expand humanity and where we go from here. SPEED: Episode 2 – Across OceansFrom Polynesian Catamarans through to personal submarines, seafaring has been pushing the boundaries since the beginning of time. Battling the odds through rough weather and treacherous seas, we sail through discovering just what made ancient ships so efficient and how the industrial revolution helped us speed into a new generation of sailing. Travel through time to experience the highs and lows of aquatic transportation. Journeying through time we explore how audacious engineers take to the skies. From the original propeller flown planes to the invention of the jet engine that made it possible for everyone to soar through the sky. Sean Riley charts our course through the wild blue yonder in a look back at the original challenges of air travel and a forecast of what's next in aviation. "One small step for man, one giant leap for mankind" We have come a long way since the first moon landing, however we cannot forget the great minds that put them there. Exploring the trailblazing engineers who invented the rocket and the great minds that are continuing to break records in space we will also take you on a journey through the theoretical ideas around space and how we move through it. Launched by Discovery Communications founder and media visionary John Hendricks, CuriosityStream is the award-winning streaming and on-demand destination where viewers can journey through our world and beyond. Our immersive experiences feature experts from Stephen Hawking and David Attenborough to Veritasium's Derek Muller, stunning visuals, and unrivaled storytelling to demystify science, nature, history, technology, society, and lifestyle. With over 2,000 documentary features and series, many in Ultra HD 4K, including exclusive originals, CuriosityStream is available worldwide to watch on TV, desktop, mobile and tablets. Find us on the web and via Roku, Apple TV, Xbox One, Amazon Fire TV and Sprint and Google Chromecast, iOS and Android, as well as Amazon Prime Video Channels, YouTube TV, Sling TV, DISH, VRV, Comcast Xfinity on Demand, Cox, Layer3 TV, and the Sony, LG, Samsung and VIZIO smart TV platforms. Arrow Media is one of the UK's most ambitious creative forces. Now one of the leading producers of high-quality factual content in the world, the company specialises in creating high quality and innovative programming across all platforms. Arrow Media and its sister label, Arrow Pictures, are part of Arrow International Media (Arrow). Arrow was established in 2011 by Tom Brisley, John Smithson and Iain Pelling, a creative and commercial team who have worked together for over 16 years. Arrow has transformed from an indie start-up to a creative powerhouse turning over £20m a year. Tom, John and Iain continue to lead Arrow's creative growth, maintaining its position as one of the 'go-to' companies for world-class productions. For more information, please visit arrowmedia.com.